Whether you live or work in the neighborhood, or are just visiting, jump start the day, and join our warm and cozy shul for a meaningful service. Our shul is located at 1950 Dryden Rd., one block off of Main St. Weekday morning services are followed by coffee and a light breakfast. 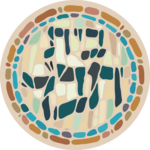 If you would like to arrange a study session with one of the rabbis to precede or follow any of the services, email study at chabadtmc dot org.